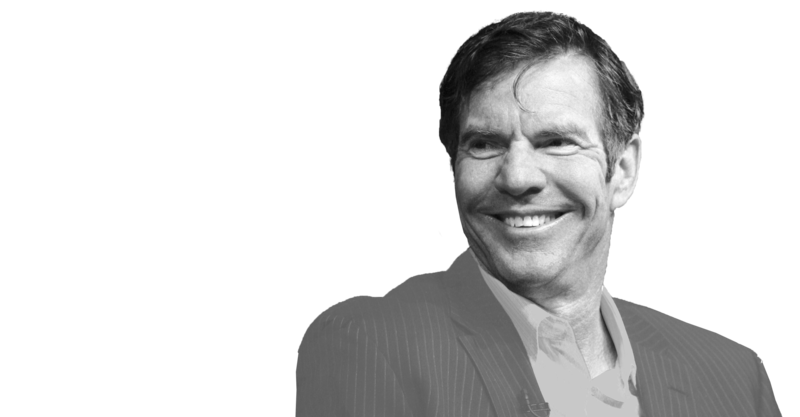 Award-winning actor, humanitarian and distinguished alumnus Dennis Quaid (’74) says that he would not be where he is if it were not for his experience at UH. “At this great University, I found a purpose, a sense of direction in my life, and a belief that I could achieve a dream,” he said. Quaid rose to fame through performances in Oscar-winning films such as “Breaking Away” (1979) and “The Right Stuff” (1983). He later went on to earn an Independent Spirit Award and New York Film Critics Circle Award in 2002 for his supporting role in “Far From Heaven.” Since his time at UH, he has appeared in more than 70 feature films. The University gave Quaid a safe place to fail and to grow through constructive criticism. He reflected on his time at the University and credited two professors for their mentorship: Mr. Cecil Pickett and Dr. Sidney Berger, who emphasized acting as a craft. “So many young people just want to be a star now, and the craft is what carries you through,” Quaid said in a 2013 interview (see video below). Quaid studied under Pickett at both Bellaire High School and UH. Quaid remembered Pickett as “brutally real,” a trait that inspired him. Over the years, Quaid has also been involved with the University as a supporter of the Cecil J. Pickett Memorial Fund.